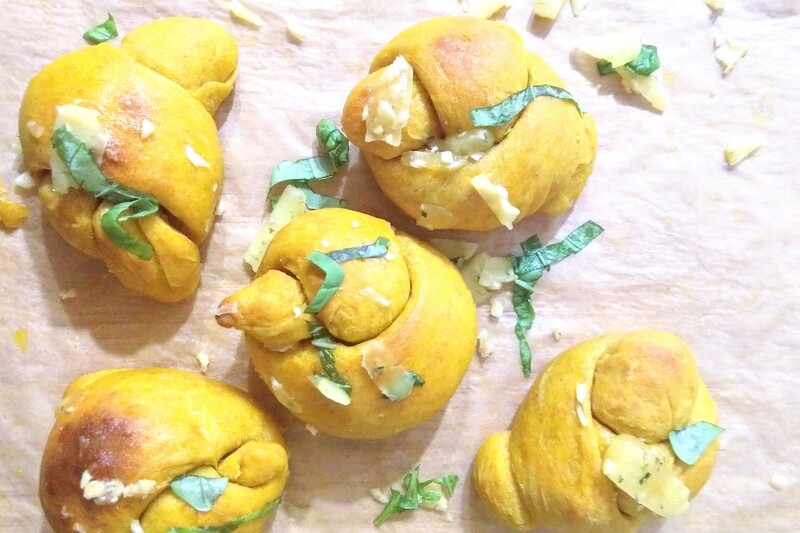 On a whim last weekend, I baked sourdough pumpkin garlic knots. 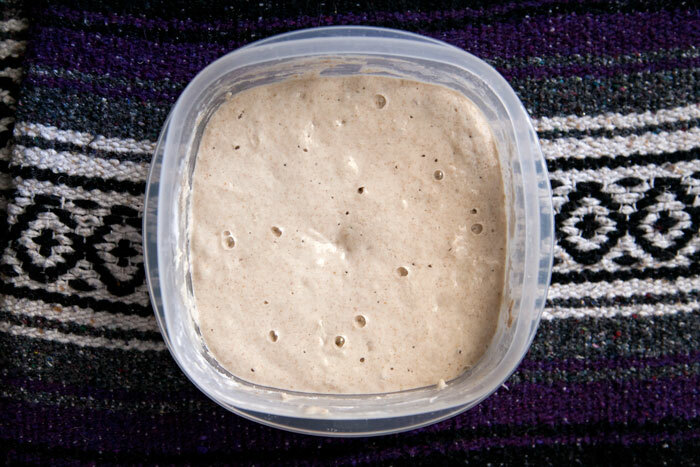 It then became my solemn duty to write the recipe ASAP, lest it be forgotten and my future self and family – and my fellow Keepers of the Sourdough out there – be deprived of its simple glory. 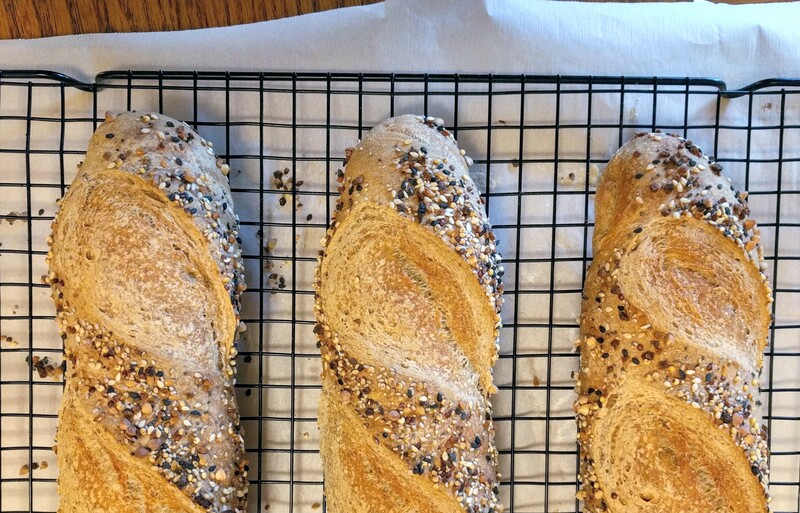 This week I warmed up my new kitchen with a batch of what’s become the “house bread” in my life. The Universe has a way of keeping us humble, doesn’t it? 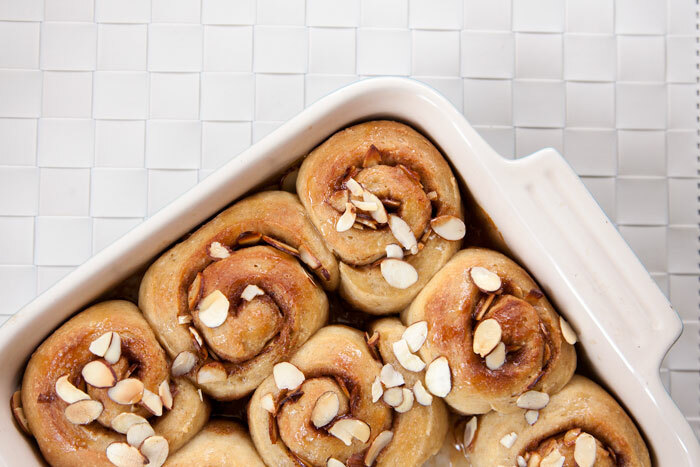 Take for example the time I fell hard for The Great British Baking Show on Netflix, and mused contentedly about what an adept contender I could be. Naturally, my next baking session was an epic screw-up. I’m claiming distraction as the reason behind the embarrassing disaster, but seriously: it involved boxed cookie mix, BOTH of my apartment’s smoke alarms, and a full hour spent the next day scrubbing the bottom of my oven. So, right, I was not Star Baker this week. Similarly, look what happens when I promise you a newly developed recipe. Here we are nearly a month later, and I’m just now getting back to you because of an extended string of lackluster trials in my test-kitchen. Lucky for you guys, I don’t give up too easily. The plan was to cap off my sourdough baking series with a special weekend breakfast combining the flavor/benefits of sourdough with the seasonal charm of pumpkin spice. 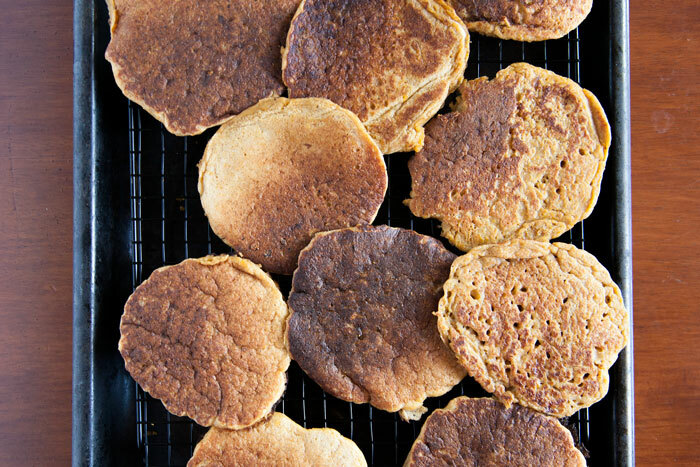 But I soon realized that this pairing would require a bit of trial and error, as pumpkin puree and sourdough can both complicate efforts to optimize the texture and density of baked goods. 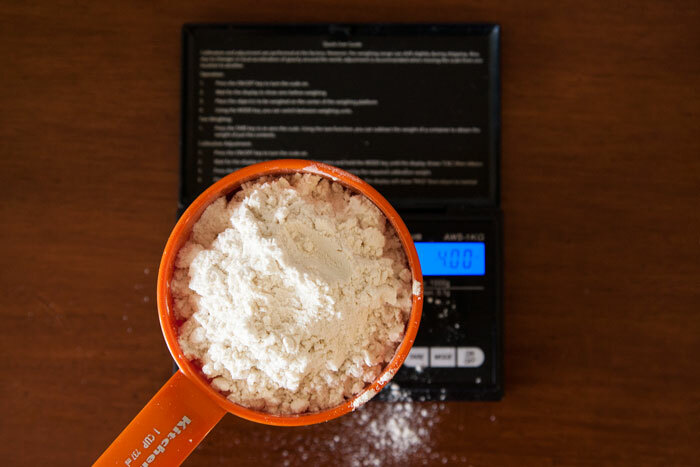 After wrestling with a series of adaptations to the basic sourdough pancake formula from King Arthur Flour, I decided I might be better off seeking insight from my favorite online community of super experienced and skilled bakers at The Fresh Loaf. Lo and behold, those good bakers know exactly what to do: I was just one blog post away from a foolproof formula. 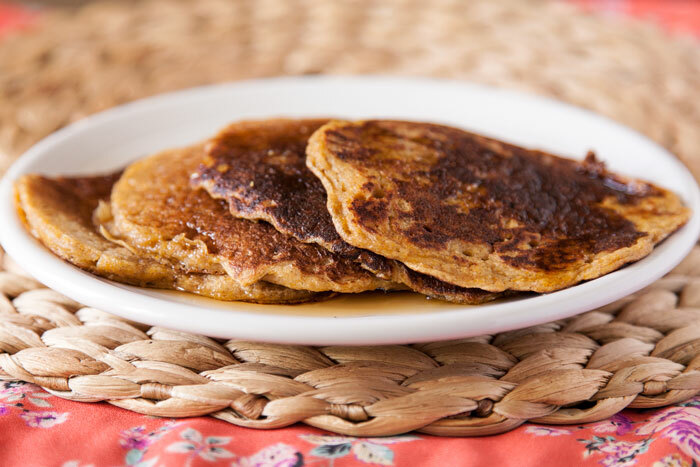 To create my perfect sourdough pumpkin pancake, I spiked the recipe with buttermilk, brown sugar and a sprinkle of spices; I also swapped in whole wheat pastry flour to take advantage of its delicate crumb. 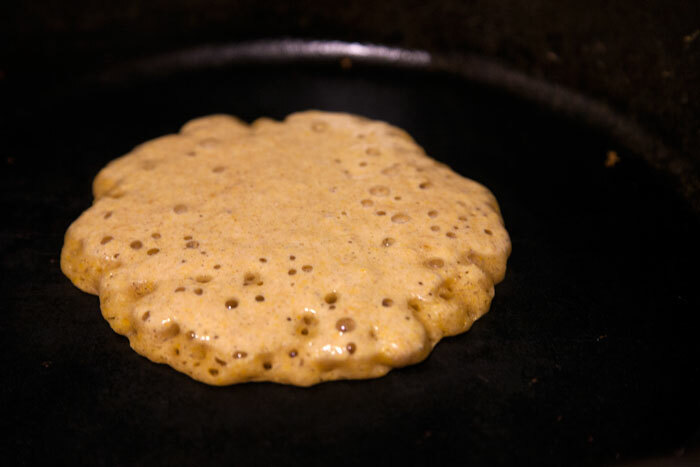 The pancakes are tender, lightly sour, subtly spiced… and we couldn’t have done it without that bubbling, fermenting colony of our favorite friendly microbes. Nothing like a good recipe success to recover from a streak of kitchen fails… What a relief! Happy cooking, everybody. I’m off to put that sparkling clean oven to good use. Combine the starter, eggs, brown sugar and pumpkin puree in a medium bowl. Then add the dry ingredients and whisk in just enough buttermilk to create a pourable batter (the amount can vary based on the density of your starter), mixing until just combined..
Let the batter rest at room temperature while you heat a large skillet or griddle over medium heat, coated lightly with butter or oil. 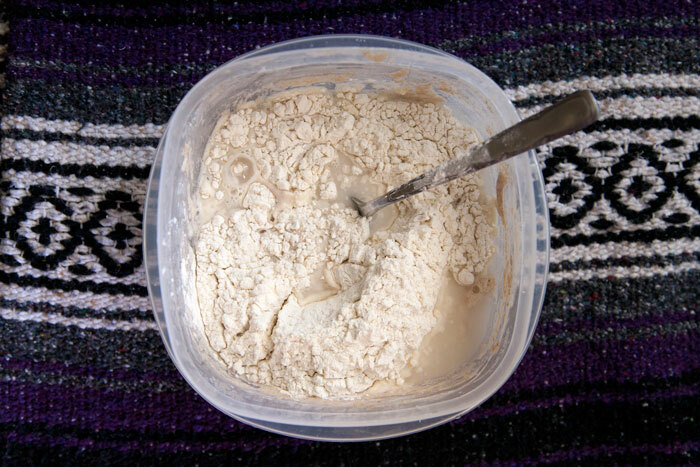 When the surface is hot, spoon the batter into pancakes of your desired size. 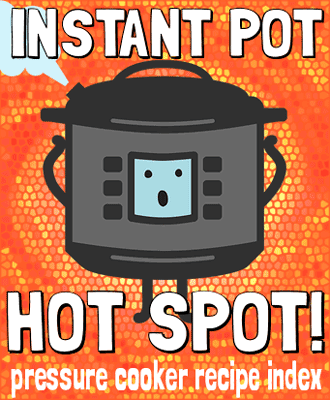 When the upper surface is bubbled, and the bottom is golden-brown, flip and continue to cook the second side. 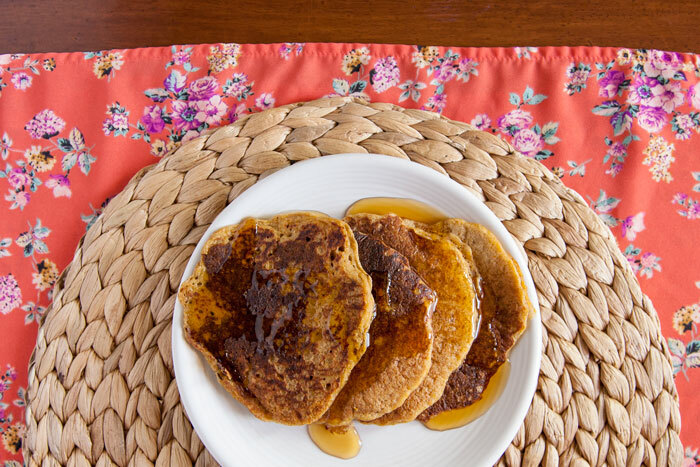 Place cooked pancakes in a warmed oven, or on a plate tented with aluminum foil until all pancakes are ready.